A swimming experience like never before! 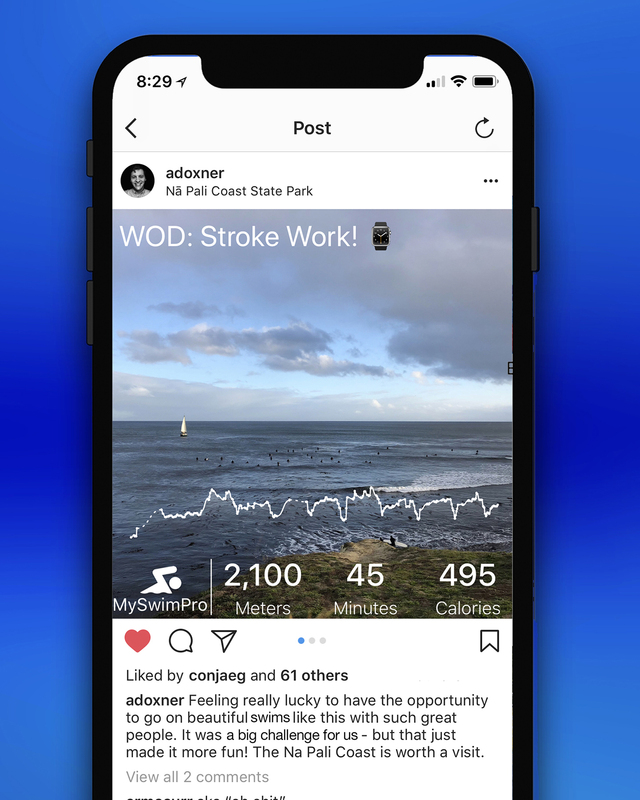 We recently launched new analytics tools for our community members who swim with an Apple Watch! Introducing new features focused on lap splits, heart rate, and SWOLF score! With this new feature, you don’t have to worry about checking the pace clock on deck to see how fast you’re swimming. The Apple Watch will automatically record each lap and give you a detailed look at how fast you’re swimming each swim set. 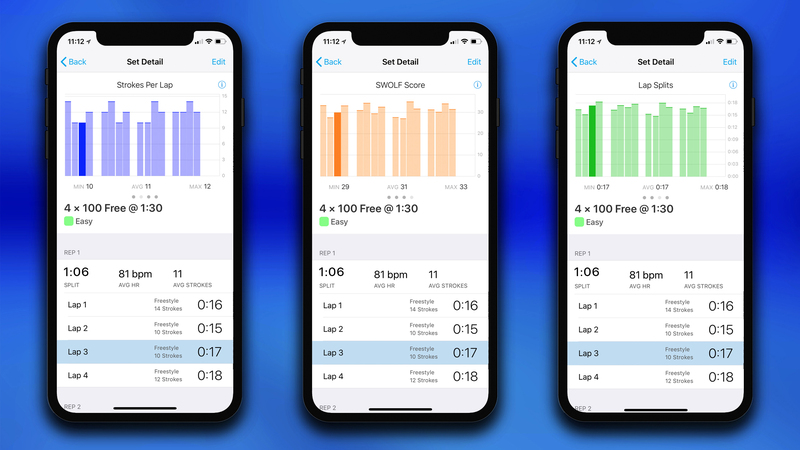 After your swim, check your MySwimPro app on your phone and take a deep dive into each swim set you completed to see your individual lap splits, average strokes per lap, and average heart rate for the set. We’ll even record the stroke for you. This new experience is first of-its-kind for the Apple Watch and takes your swimming experience to a whole new level. Understand exactly how efficient you’re swimming with your SWOLF Score. The term “SWOLF” is an abbreviation for “Swim Golf” and is calculated by by adding together your strokes per length, and the time for the length. The goal is to optimize your swimming efficiency by swimming a length in the shortest amount of strokes. 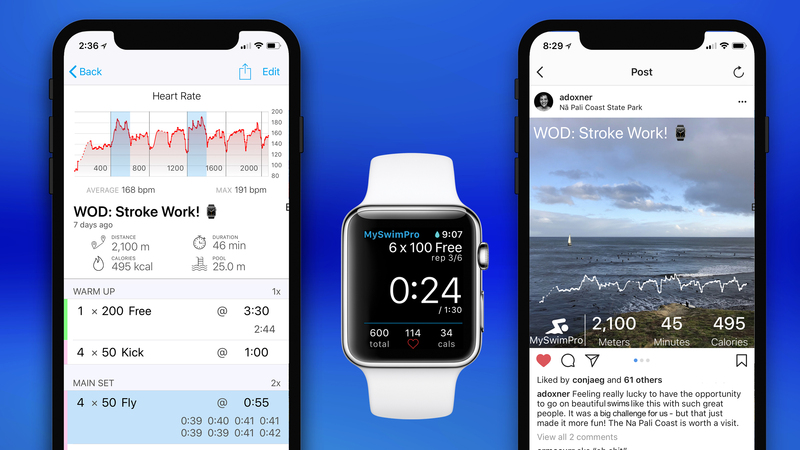 When swimming in a pool, the MySwimPro app on the Apple Watch will automatically measure your speed and distance per stroke, giving you a comprehensive look at your swimming performance. 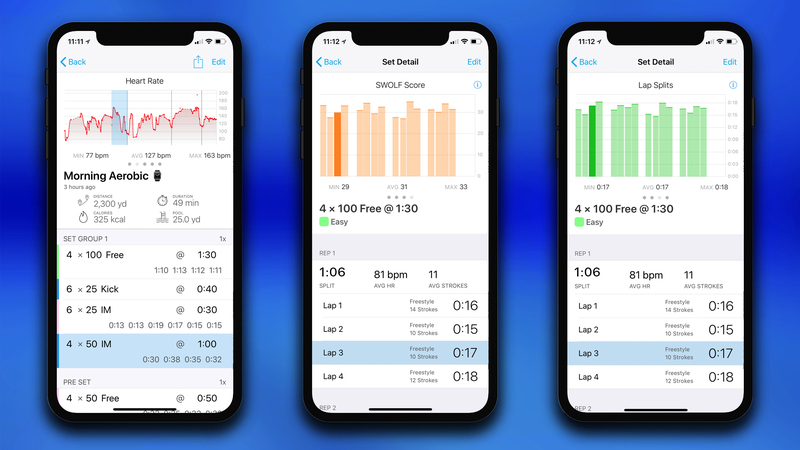 After your swim, check the app on your phone and see all the data behind your swim. 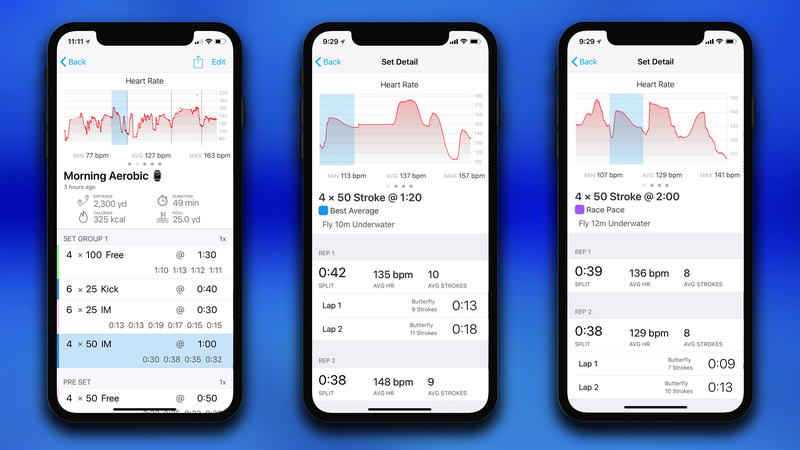 With this new feature, you can break down each lap and each workout to track your progress of how efficient your stroke is. Keep in mind that your SWOLF score will be different for each stroke. Keep tabs on your resting, and workout recovery heart rate with advanced Heart Rate Segments. The heart rate graph will appear for all workouts logged from an Apple Watch (assuming enough heart rate data is collected). Under the graph, you can find your average and maximum heart rate for the workout. It’s a truly remarkable experience with more enhancements coming in future updates. The heart rate graph is only available for MySwimPro Premium members. You can read more about the Apple Watch’s heart rate sensor here: https://support.apple.com/HT204666. It also works in reverse: select the set you’d like to see highlighted on the workout, and it will highlight it in blue on the graph. Unlock all this and more with MySwimPro Premium. Get the app on your iPhone, Android or Smartwatch!